In 2 weeks Antenna TV is making some changes to its summer schedule. One Day at a Time and Evening Shade will return to the schedule on Sundays, while What's Happening!! takes a hiatus and Becker and 227 get shifted to the overnight. The changes will begin on Monday, July 17, with weekday mornings through 4pm the same as now. The Partridge Family is being re-added to weekdays (and will still air Sunday mornings) from 4-5pm. Three's Company moves to 5-6pm, as the Norman Lear sitcoms will now shift to 6-10pm (Good Times, The Jeffersons, Sanford & Son, and All in the Family). 227 is off of primetime and will move to 3-4am, and Becker moves from 12-1am to 4-5am. Replacing Becker at midnight will now be Family Ties, which also returns to weekdays. What's Happening!! is now completely off the schedule, while Mr. Belvedere is now only on Sundays. On weekends, the Saturday summer-thons will continue from 1-10pm on Saturdays. Some minor changes on Saturdays have Good Morning World moving to 7-8am replacing Circus Boy, and Bewitched and Jeannie airing in late night from 11:30pm-2am replacing Joey Bishop and World. The Sunday changes have the return of One Day at a Time, airing Sundays 6-7pm, replacing more Becker. In Sunday late night, 11pm-2am gets a change with Newhart shifting to 11pm, the return of Evening Shade at 12am, and My Two Dads moving to 1am. Dear John is off the line-up as well, as it was only airing Sunday late nights. View the full lineup that begins Monday, July 17. 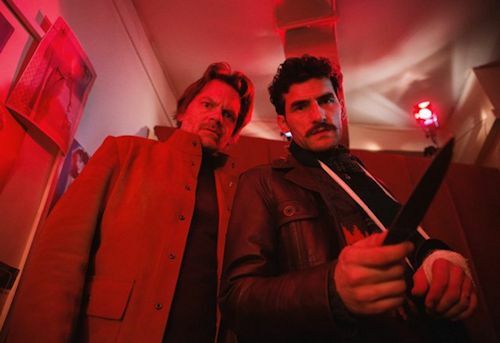 Amazon Studios announced Comrade Detective, a new half-hour live action series that will premiere August 4 exclusively on Amazon Prime Video in the US, UK, Canada, Australia, and New Zealand. Comrade Detective is a one-of-a-kind cop show and comedy set in 1980's Romania. True to its nostalgic inspiration, the series is presented in Romanian and dubbed in English--as a Romanian show of that time would have been. Channing Tatum (Logan Lucky) and Joseph Gordon-Levitt (Looper) provide voice over dubbing performances for the series' two leading roles, Detectives Gregor Anghel and Iosef Baciu--both characters played on screen by leading Romanian actors, Florin Piersic Jr. (Killing Time) and Corneliu Ulici (The Devil Inside). In addition to Tatum and Gordon-Levitt, the illustrious roster of talent dubbing other roles includes Jenny Slate (Obvious Child), Chloë Sevigny (Bloodline), Jake Johnson (New Girl), Jason Mantzoukas (The House), Nick Offerman (Parks and Recreation), Fred Armisen (Documentary Now! ), Kim Basinger (LA Confidential), Mahershala Ali (Moonlight), Tracey Letts (The Lovers), Bobby Cannavale (Boardwalk Empire), Richard Jenkins (The Visitor), Debra Winger (The Lovers), Mark Duplass (Safety Not Guaranteed), Katie Aselton Duplass (Legion), Jerrod Carmichael (The Carmichael Show), Bo Burnham (The Big Sick) and John Early (Search Party).